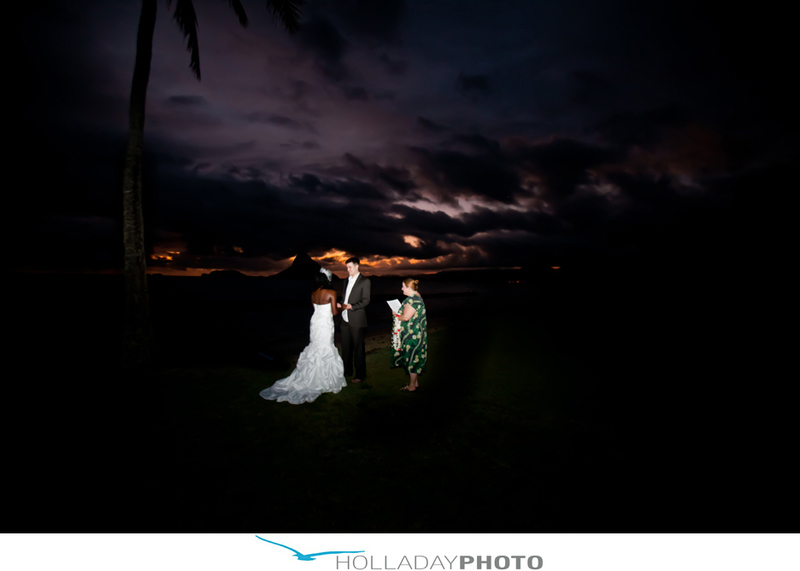 I photographed my last wedding of 2011 this morning at Chinaman’s Hat across from Kualoa Ranch. 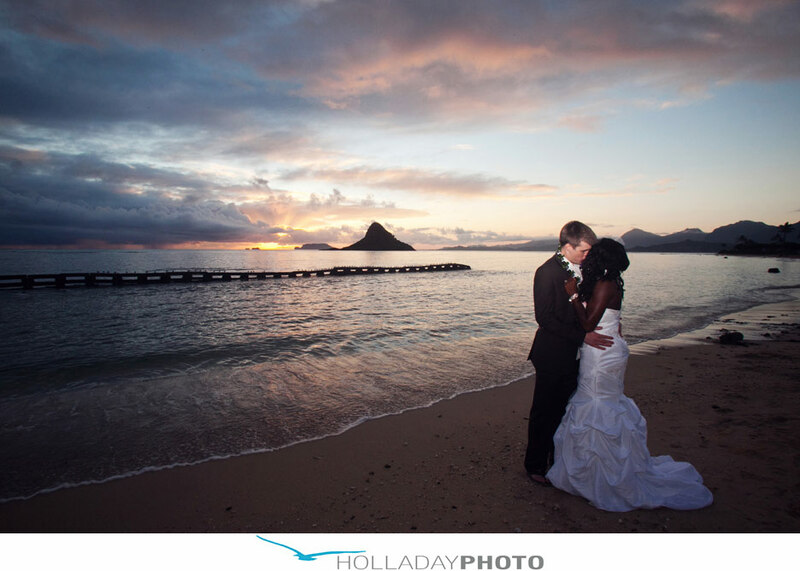 I met Michelle and Kevin at 6:30 am for a sunrise beach wedding. Michelle and Kevin met when they were both working on President Obama’s campaign in 2008. 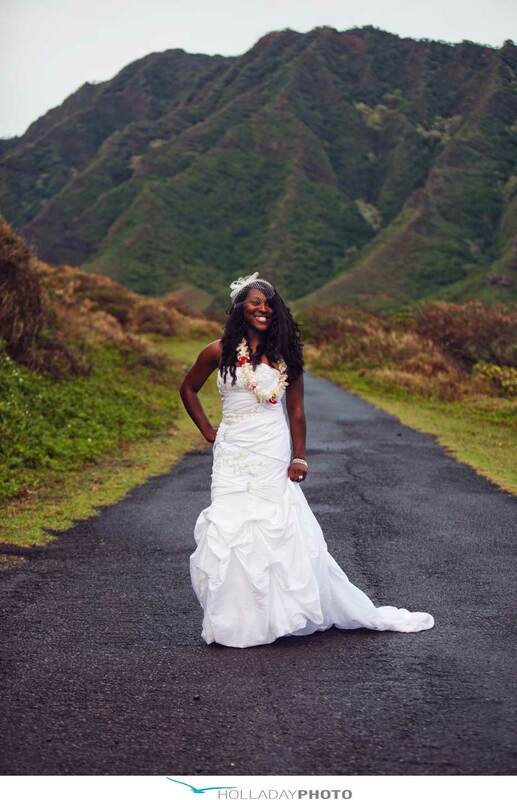 Michelle also currently serves in the Navy with frequent deployments. 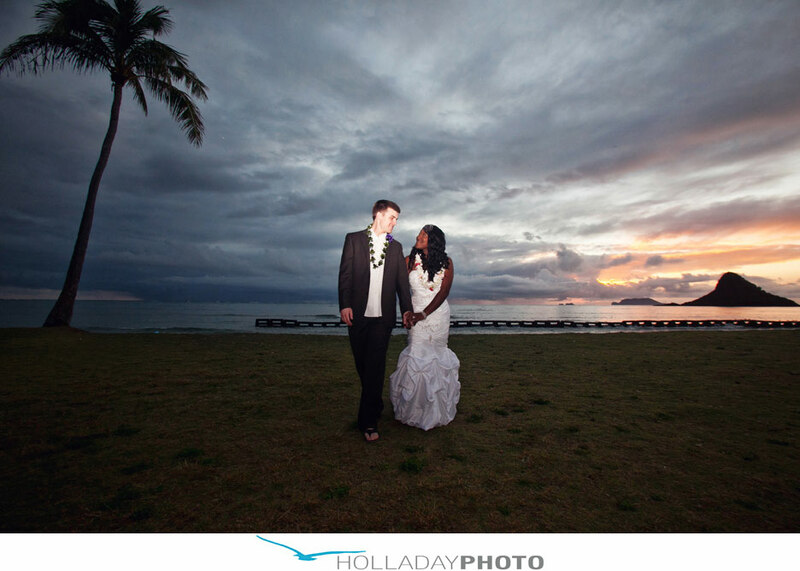 They are such a genuinely kind and fun couple who I enjoyed meeting. It was a beautiful morning with them and a great way to wrap up the year.